One of the first things you learn as a lawyer when doing mergers & acquisitions work is the importance of the non-compete clause, especially the term of the non-compete. That is the restrictions you place on the people selling a company from walking out the door with "your" money, their knowledge and immediately setting up the same or similar business elsewhere. There is not a legal standard for a time period for a non-compete after a sale as it depends on the amount of money paid, the geographies involved and more. That said you would expect any major deal to come with a minimum two year non-compete. One year is possible but for acquisitions of a decent size you would expect to see at least a two year restriction on shareholder/owner managers (ie not "regular" staff, just those with a substantive stake in the business) . Why am I giving you this little trip down memory lane to my days as a lawyer (even though I have admitted that every now and then I miss being one)? Because in late December 2007 the online travel industry was "rocked" by the meta-search equivalent of Pepsi buying Coke with the announcement of Kayak Buying Sidestep for $200mm. It was pitched as a merger but quickly became clear that the Sidestep brand would disappear and much of the Sidestep management would move on (see my post deal interview with Kayak VP comm Kellie Pelletier for more). Now some 15 months after the Sidestep sale (ie outside of 1 year but within the typical 2 years) I have come across an announcement that a number of ex-Sidesteppers are back in the travel meta-search business with the launch of Voyij.com (pronounced "Voyage" and much cheaper than trying to buy the inactive but clearly for sale Voyage.com). 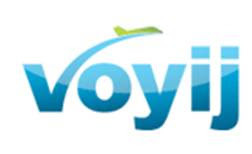 The press release (care of Business Wire) dates the launch of Voyij as 13 May 2009 and is heavy in linking the likely success of Voyij to the Sidestep pedigree of the founders and staff. According to the Voyij blog work on the product started as far back as March 2008 (ie just after the acquisition). Listed on the Voyij website as founders are Sidestep co-founder Brent Stewart (Voyij CEO), Sidestep Software Architect Nick Atkins (Voyij CTO) and Sidestep UI engineer Paul Kim. Former Sidestep CEO Rob Solomon is quoted in the press release saying some glowing words but is not listed in the About us section as being either a founder or on the advisory board. To be clear I have no information either way on the post acquisition obligations of anybody but love the idea of seeing former employees of a target company build something to battle back against an acquirer. Post Sidestep machinations aside, Voyij are coming at meta-search from a different angle to Kayak/Sidestep. I am tempted to describe their approach as a mixture between meta-search and the travel discovery and inspiration sites that we have been discussing so much here at the BOOT. Whereas your typical meta-search business asks you to type in a To/From combination and produces a set of results, Voyij ask for your departure point and an indication as to when you are prepared to leave. It then recommends both deals and destinations. For example selecting SFO as a departure point selected "beyond August" as the departure date recommend flights to Long Beach as being the cheapest options. For Vacation deals the top recommendations were Southwest Vacations deals in Oakland and Las Vegas. True to their Sidestep origins the Voyij UI design team have produced a well laid out site for refining the sort order by date, price, destination, facilities and more. However the discovering and inspiration pieces are much weaker than the dedicated players that I have looked at such as Triporati (interview with founder here) and Tripbase (interview with founder coming soon). The meta-search part is seamless and attractive but they will need to develop a lot more depth in the recommendation part other than simply selecting the nearest and cheapest option otherwise they will limit their market to nearby weekend get-aways. Final world - the name is going to hurt them. In typing this post I must have misspelt the name more times that I got it right, even though it should be phonetically easy to remember. Similarly messed up the URL a few times (thankfully without unintended and unsafe at work consequences). Let's all welcome the team from Voyij back to the meta-search war front. PS - Dennis Schaal has some interesting thoughts on the Voyjig functionality and the perils of screen scraping here on his post here. above two posts are like monty python skit. with name, well Tim, if not you but many others probably said something similar about wotif. i like it! its engaging given the spelling, made up word they can own it globally and five letters (very good)! as for the model? well who's got the time to go through all that stuff? (obviously oodles of people, given these types of sites are seemingly getting lots of traffic. Tim, not sure if you've checked out NileGuide (http://www.nileguide.com/) in the travel recommendations and trip planning space. The site has a search UI with some parallels to the metesearch guys, but with content instead of transactional data. The idea is to quickly find relevant content, do something with it (create a trip itinerary), and then (optionally) build your own guidebook. To me the Voyig experience seems more focused on the Deals space, and as such competitive with traditional players like Travelzoo, Sherman's Travels, and Booking Buddy, along with emerging sites like Dealbase. Interesting to also note the recent'ish launch of DealBase, a fellow alum of the Kayak network, n'est-ce que pas? @Josh - I have been keeping a vague eye on Nileguide. Have plans to do a profile (eventuallY0 Agreed that Voyij is more deals than planning.